Why has Darcy distanced himself from Elizabeth? She demands her husband confide in her...or risk the happiness of their union. The months following the birth of their first child should have been joyous, but something is wrong with Lizzy's marriage. Has his affection for her changed...has he taken a mistress? His coldness places Elizabeth in danger, the exact opposite of the outcome he desired. Darcy must rectify his mistake before his secret fear harms the lady he values above all others. 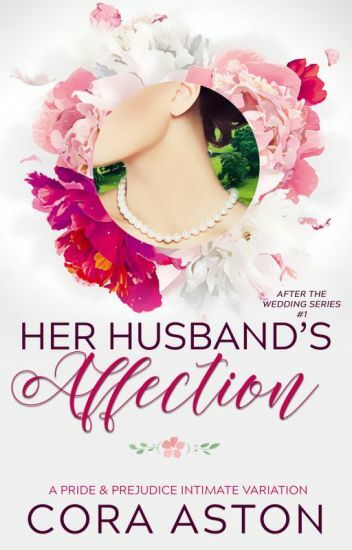 Her Husband's Affection is the first passionate short story in the After the Wedding Series vignettes reimagining what may have happened with Mr. Darcy and Elizabeth at Pemberley after they married. These stories will not necessarily be told in chronological order or even feature the exact same Darcy & Elizabeth. Each short will include a tastefully written steamy sensual scene which enhances the exploration of marital intimacy between ODC. The author will make sweet versions available on her website. Variation #2 in this series will be Her Husband's Gift, a holiday novella of approx. 15K. If you crave tales depicting the passion, angst, and temper of ODC as they navigate tumultuous but loving marriage, you will enjoy the After the Wedding shorts. Everyone knows the story of Elizabeth Bennett and Mr. Darcy. But what happens after their engagement? How does Lady Catherine, Mr. Darcy's infuriatingly cruel and snobbish aunt, react to the engagement? How does Mr. Darcy react when Elizabeth tells him the news that Mr. Bennett has given his consent? ** I am taking this from the movie in 2005 because many readers have not read the actual book. ** Please remember this is just my take and I will be using the actors portrayals of Keira Knightley and Matthew McFaydden. ** I will modernize the language. I'm sorry. I will try my best but no matter how hard I study I cannot duplicate such beautiful words. I would have to have studied the dialect for years. This is a story about the life of the Darcy's after the day they get married. Their life isn't far from happily ever after, but like everything it has its ups and downs. The story written by Jane Austen has inspired millions and will continue to inspire. So, I thought I might use some of her inspiration to create a novel that is in a way related to her and to one of my favorite stories. Mr. Darcy and Lizzie have been married for three months now. What happens when Lizzie suddenly falls ill? A woman's heart is like a treasure of secrets. Their feelings are always hidden perfectly as they have a way, a technique to conceal those feelings. Such were the feelings of Georgiana Darcy, a great keeper of her feelings. Travel through the journey of Georgiana Darcy's feelings as she finds herself falling in love day by day.